망개나무는 우리 나라와 중국, 일본 등지에 드물게 자라는 희귀종으로, 황색단풍이 매우 아름답고 대체로 따뜻한 곳에서 자란다. 번식력이 매우 약하나 한번 싹을 틔우면 잘 자란다. 잎이 길고 타원형이며 꽃은 6월에 황색으로 피어난다. 열매는 타원형으로 8월에 붉게 익는다. 경상도에서는 살배나무 또는 멧대싸리라고도 한다. 괴산 사담리의 망개나무는 속리산 국립공원 근처에 계곡을 중심으로 냇가의 굵은 돌이 많고 흙이 없는 곳과 바위틈에서 자라고 있다. 괴산 사담리의 망개나무 자생지는 우리나라의 대표적인 망개나무 자생지 중의 하나로서 생물학적 보존가치가 높아 천연기념물로 지정·보호하고 있다. Berchemia rarely grows in Korea, China, and Japan. 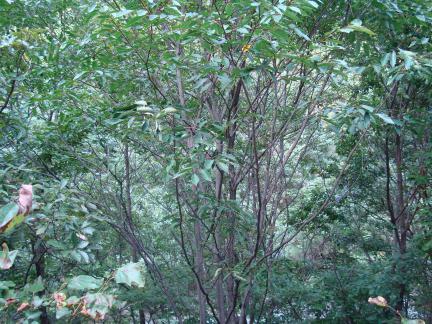 As a rare variety in the world, it has very beautiful yellow leaves in fall and generally grows in a warm place. 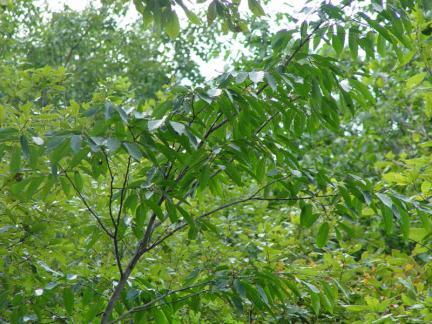 Its flowers and fruits sprout well, but few young trees grow in the natural environment. It has very low fertility. However, once it sprouts, the bud comes out again even after cutting. 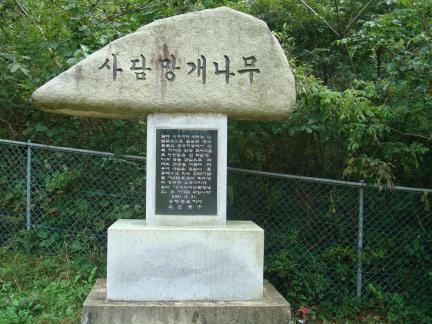 In Gyeongsang-do, it is called "Salbaenamu" or "Metdaessari." 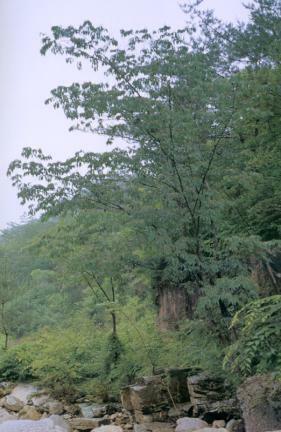 At the natural habitat of this tree is in Sadam-ri, Goesan, it grows centering on the valley near the Songnisan National Park. 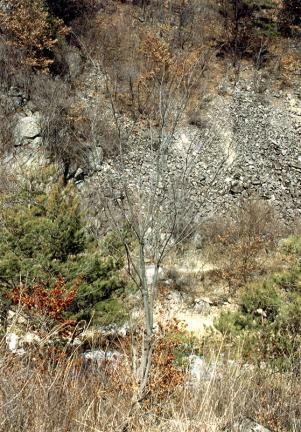 This tree roots in soil with many thick stones around a stream or in the crack of a rock. 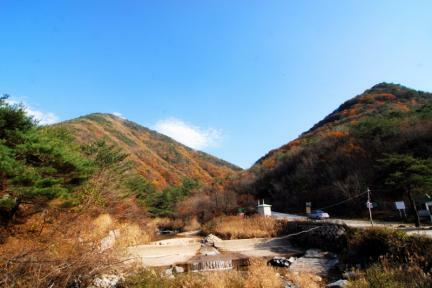 The Natural Habitat of Korean Berchemias in Sadam-ri, Goesan can be easily damaged because it is located in the boundary of the Songnisan National Park. 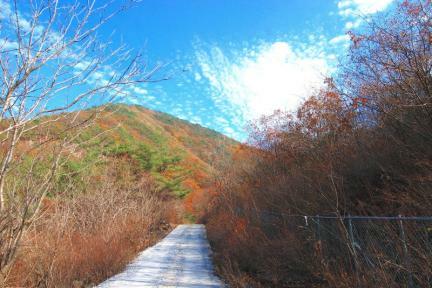 Thus, the Natural Habitat of Korean Berchemias in Sadam-ri, Goesan is designated and protected as a Natural Monument because it is a rare place in the world and the Berchemia, which is in danger of extinction, grows in this place.